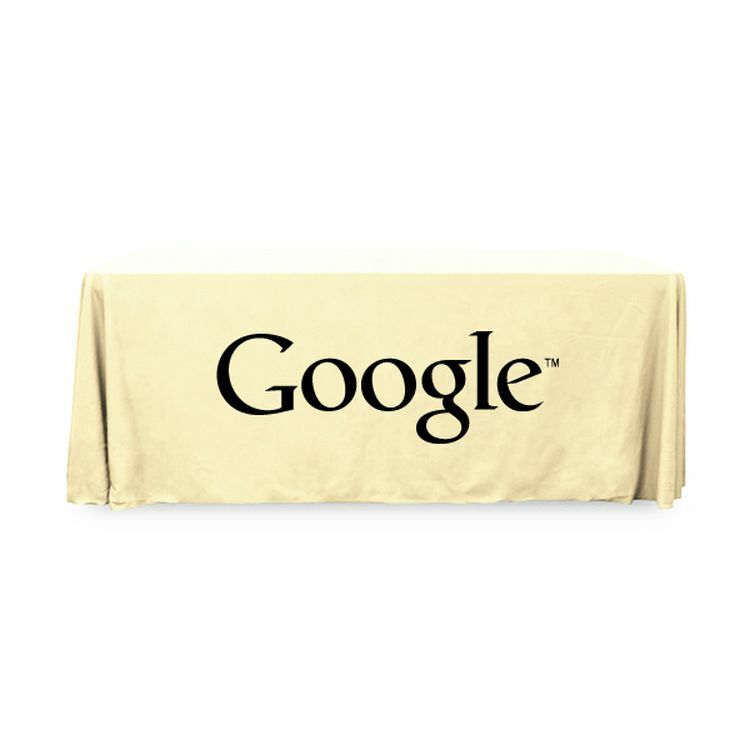 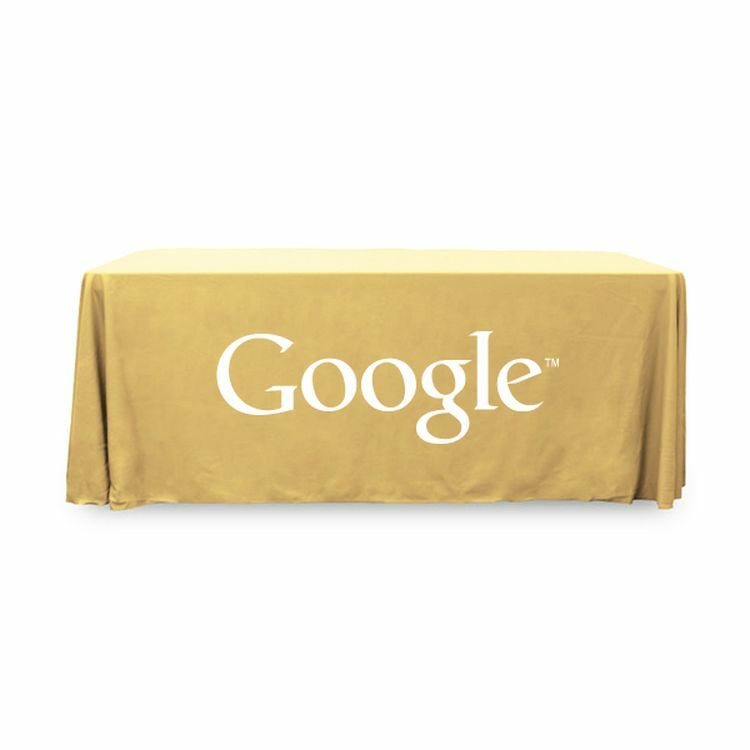 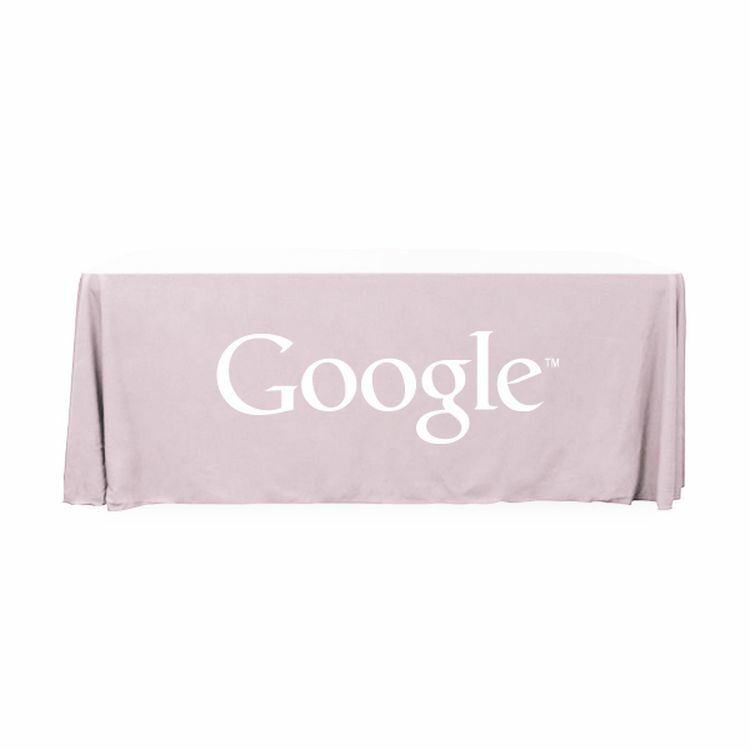 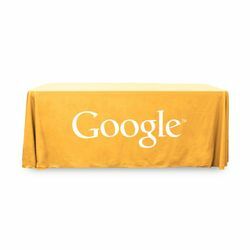 6 ft. Standard PolyPoplin Throw style table cover with one color logo. Fits a 72 inch x 30 inch deep table and is designed for quick and easy use while looking great. All corners are rounded meaning they will not gather and lay on the floor. Floor length on all 4 sides. Made from a woven polyester, these throw style table covers are sure to impress. Price_Includes: One color, one location imprint, setup and proof.